The v7.30 Content Update removed the item from standard modes. Fortnite’s v7.30 Content Update brought us Environmental Campfires and Bottle Rockets, but this came at a cost. 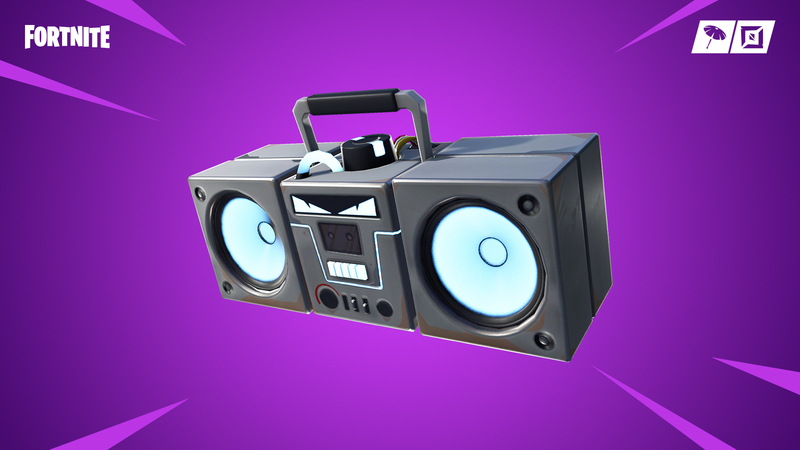 Developer Epic Games announced in the update’s patch notes that the Boombox is now in the vault and removed from standard game modes. The Boombox was a throwable item that came in stacks of two and dealt periodic damage to nearby structures. If that sounds familiar, it’s because the newly-added Bottle Rockets can be described the same way. What sets Boomboxes and Bottle Rockets apart is that Boomboxes used to deal damage in a circle around them, while Bottle Rockets deal damage in a cone in front of them. That means the placement and orientation of the rockets is important, which was not something to worry about when using Boomboxes. Players who like to use consumable items to destroy opponent’s structures should see this change as a nerf to this method of countering structures. It’s now harder to destroy structures since you can’t randomly throw Bottle Rockets and expect them to destroy everything around them. You’ll have to take your time to define the best position to place them and the best time to use them. The removal of the Boombox should maintain the current balance of consumable items in chests. The more items that are added to chest drops, the smaller the drop rates of all other items become. When Epic adds a new one like the Bottle Rockets and removes another like the Boombox, players can expect very little change in drop rates of items coming from chests. Players should stop seeing the Boombox in standard Fortnite: Battle Royale matches as soon as Epic pushes the v7.30 Content Update live in all servers.